Yes, a mid July start would be perfect for me. Full moon is on the 19th of July. So a start date around the 15th would be very welcome. The August version around the 14th would definitely kick me out. The August version around the 14th would definitely kick me out. Yes, me too. It might kick out quite a few, as family vacations are coming to an end and kids are going back to schools around that time. And then there's monsoon season. The weather this year was great. Racers were very fortunate. Evolution is much too slow. Riding the wilderness areas still isn't legal on a unicycle is it? In regards to next years start.. I would think Sunday July 31st would be a good start date! Full moon or not, it seems to work if there is a big snow year. No, it is not. According to http://wilderness.nps.gov/faqnew.cfm, wilderness ares "do not allow motorized equipment, motor vehicles, mechanical transport"
A unicycle would be mechanical transport. Shame on the durango herald for posting a story about a self-admitting wilderness poacher. Dude should have his charity money raised go towards a fine for being an idiot. He sounds like an up and coming racer - with his impressive ability to interpret rules and adapt and overcome. 2016 will be my first time trying the race - by when is the race date usually determined? I see that others are concerned about the date too. Usually around the beginning of the new year I would say. Just keep checking the website. Of course you know if a Spotted Owl saw either a bicycle or unicycle all it spots turn white. It true I saw it in a Tom & Jerry Cartoon! 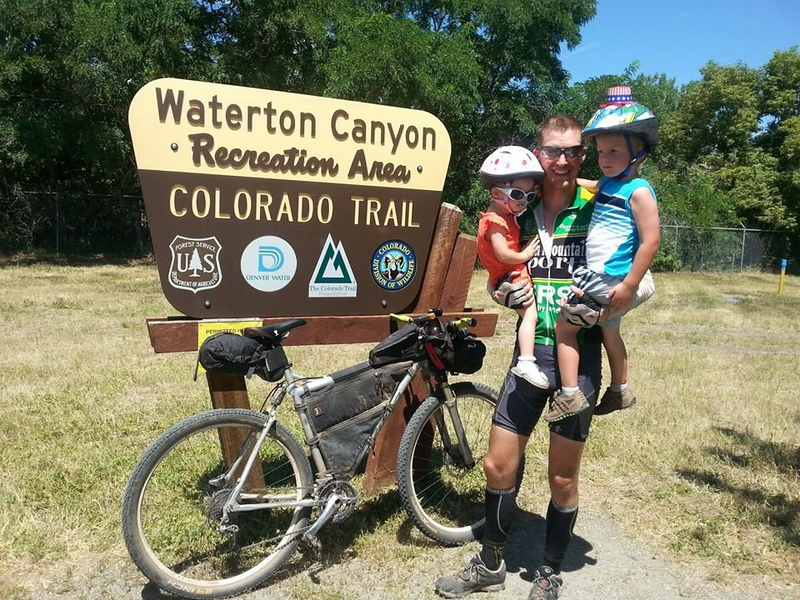 I'm long overdue in writing up my CTR race report and just uploaded it to Strava finally. I've decided to just do a different format for this report. Links to my strava activities and I'll post the short descriptions with the links since they don't seem to be visible to the public. Outfitted the Dos Niner and headed out for the CTR! Tried to ease into the race to prevent body revolt, but that didn't go that well. Crashed 3 miles in and cracked a rib and effed up the bike (bent handlebars, really bent saddle, broken brake reservoir). Kept moving, though body wasn't cooperating that well. 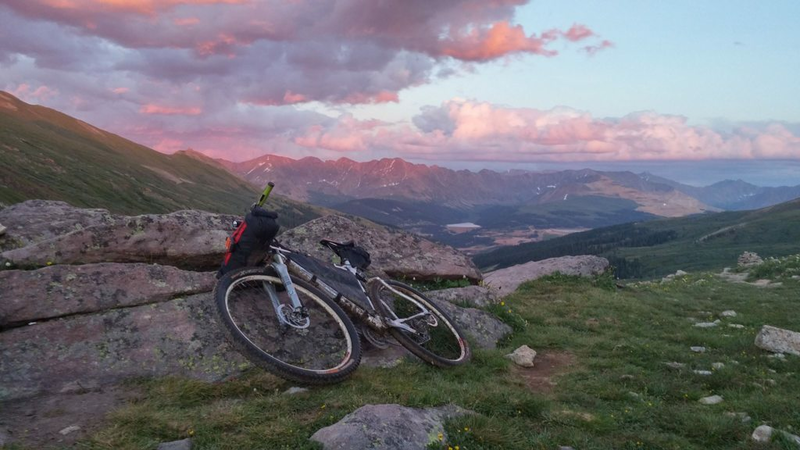 I really wanted to make Silverton, but was too "fragile" to risk going over another 12,000 foot pass to get there. Still felt bad. Big bonk as I reached Carson Saddle, once again afraid I would run out of food before Buena Vista, I was burning 10,000 calories every 12 hours and not making much progress along the course. Over all felt crummy. Stopped and had a long sleep and a camp fire to lift spirits. Body revolt is over! Finally, I'm able to eat something other than simple sugars and I'm feeling much better! Flying along to Spring Creek Pass and through the La Garita Wilderness detour. The gluten-free burrito I ate at the top of Los Pinos Pass was heaven! Sidewall cut slowed me down right near sunset as I entered Sargents Mesa, but kept pushing late. Stopped and slept because it sounded smart more than feeling the need to. I even snuck in a KOM over Jesse Jakomait, Stefan Griebel, Neil Beltchenko and other CTR heavy hitters ha! Still feeling good. Body was functioning well, but I still didn't like the pushing through the Cochetopa Hills. Took a break at Marshall Pass to eat some food and talk to some CTR enthusiasts. US50 to Mt Princeton is a slog, but eating dinner at the Mt Princeton Hot Springs Resort is fantastic. Was chased up Mt Princeton by a huge storm, but it stalled on the flanks of the mountain and I stayed dry. Descended to Buena Vista and everything was closed, so decided to resupply in Leadville instead since the body was operating much more efficiently now. Only had about 3 hours sleep and with the big push the previous day I was a little knackered. Got to Leadville and dropped the bike at the LBS to check out the brake (turns out I had a cracked reservoir from the day 1 crash, bled it and hoped for the best). Resupplied in Leadville, Doritos were now a large part of my diet. Up over Kokomo and hit Searle at sunset, approached those climbs with a good attitude and really enjoyed them. 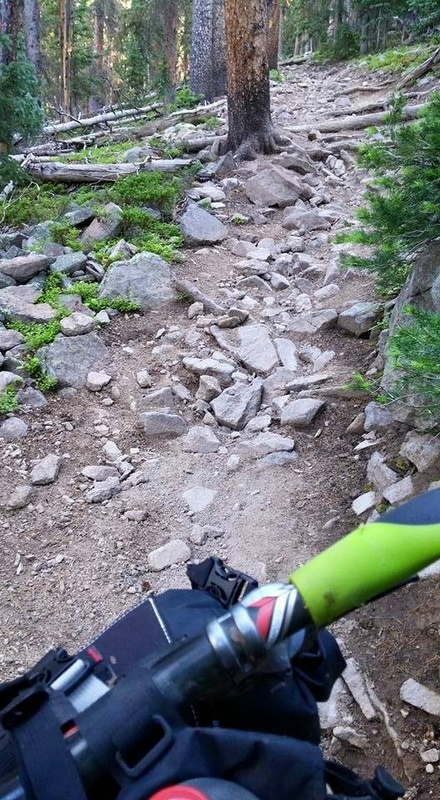 I despise the trail as it traverses Copper Mountain, takes way too long to do a simple traverse. Slept in a Copper Mountain parking lot, didn't want to push into the Ten Mile Range climb and possibly change how good I was feeling. Ten mile Climb wasn't bad. Ran into another CTR guy at the summit, chatted a few and then decided I was pushing straight through to Waterton. Slow and steady over to and up Georgia and descended to Kenosha in late afternoon, I was feeling fantastic so I hammered it to make it to the Stage Stop Saloon before the grill closed. Stage Stop was fun with a busy bar during the weekend. Got a bunless burger and chicken sandwich and a Family Size Doritos (3000 calories! ), Tarryall Pat is a fantastic guy (even if he doubted that I would be able to go straight through to the finish). Hammered the Tarryall Detour all through the night passing several guys that were slowing/tired while I was getting faster. Hit the CT trail at 4 a.m. and kept on moving. When I got to the South Platte I stopped to take a break and filter some water before starting the final segment. 2 of the guys I passed in the night finally caught up with me and chatted and then promptly attacked up the climb. I quickly packed up and gave chase, after so many miles and so many hours without sleep I now found myself in a cross country race to the end. I caught both guys on the climb (it's what us skinny guys do) and hammered the whole way as I didn't know how long they would chase. 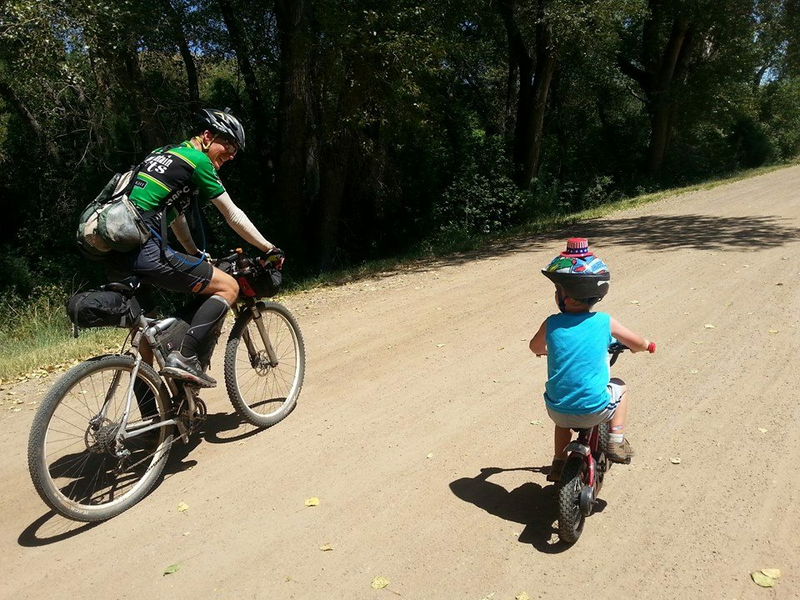 My wife and kids were 1.5 miles up the canyon to greet me, but I skidded to a halt and explained I had chasers so I tagged the finish line before coming back up to them. I rode the last segment faster than I ever had and the brake lasted me, barely, but it was a bit sketchy at the end. Finish time was 6 days 7 Hours 50 minutes, good for 13th place. Not bad considering I was on 9 or 10 day pace those first 2 days. Turns out I didn't need to hammer that last segment as hard as I did, my closest chaser was 33 minutes behind. Awesome write up Nick. The last time I saw you was climbing out of Copper trying to escape the storm. Amazing finish, glad you came around. Damn you though! write ups like this give me the stoke to go back this year! Not sure if I'm there yet mentally but the appeal and 'unfinished business' feeling is there for sure. Good Job man! Well, last year you were playing around with sleep deprivation a lot, so now you've got better intel on how you should tackle it in 2016. Personally, I slept much more than I expected, probably 30-33 hours total. At least it justified me carrying a comfortable sleep setup.